I loved the use of Appalachian culture and folk music, as well as the Irish mythology. The novel wasn't perfect in every aspect, but the things that worked made up for any shortcomings I experienced. I like the way Alex Bledsoe deals with issues of racism and ethnocentrism in the novel. I don't recommend the audiobook as strongly as I might, simply because the accents of the actors threw me off a bit. This was a lot of fun, and I'm eager to read the rest of the series. I also enjoyed this soundtrack/playlist put together by Bledsoe: https://8tracks.com/alexbledsoe/tufa-mix. 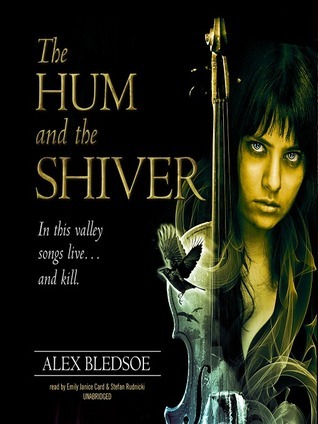 Sign into Goodreads to see if any of your friends have read The Hum and the Shiver.